The Ventura County Public Health Department is a jewel in the county Health Care Agency system. In 2014, they received a 5-year, national accreditation from the Public Health Accreditation Board (PHAB), making it the first and only Public Health Department in the state of California to receive that designation. 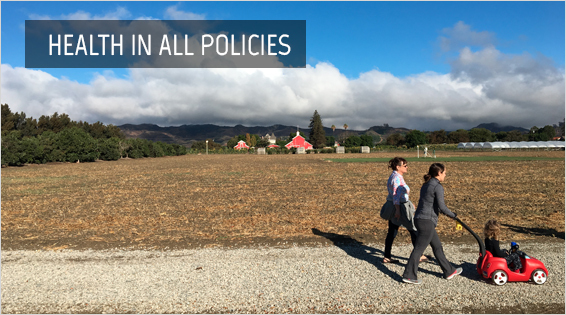 Placing the health and well-being of the residents of Ventura County above all, the County Board of Supervisors adopted ‘Health in All Policies,’ (HiAP) in 2014. HiAP is a collaborative approach to improving the health of all people by incorporating health considerations into decision-making across sectors and policy areas. HiAP engages diverse stakeholders to create win-win policies, plans, and programs to better address the many non-health factors that impact the health of the community, such as transportation, planning, housing and safety.